In a race that came down to the final day; Hilal Al-Quds claimed the result they needed against a valiant Shabab Al-Dhahrieh side. Mohammed Darweesh opened the scoring, much as he did in the title decider last year, in the 29th minute. Palestine international scored three minutes later, denying Hilal the opportunity of setting a new mark for fewest goals allowed in a WBPL season. Further south, Ahli Al-Khaleel had taken the lead over Al-Bireh through Abdallah Jaber and Islam Batran. The hope of Ahli Al-Khaleel fans flourished for a brief moment but Hilal grabbed a second goal shortly before halftime. In the second half, goals from Oday Dabbagh and Tamer Seyam gave the defending champions an emphatic win. Few would have predicted this result in February but a 40-day break allowed the team to regroup and following the break, the Blues collected 16 out of 18 points while others faltered. 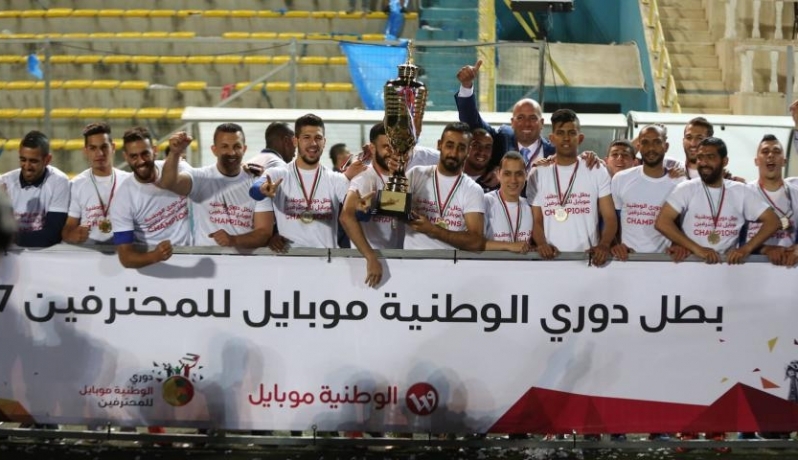 Ahli were particularly affected by the absences of Mohammed Saleh and Mus'ab Al-Battat which resulted in a shocking defensive display against Shabab Al-Sam'u (a 5-4 loss) effectively costing them the title. Hilal Al-Quds will now have the opportunity to claim the double when they face Thaqafi Tulkarem in the final of the Palestine Cup on May 19th.